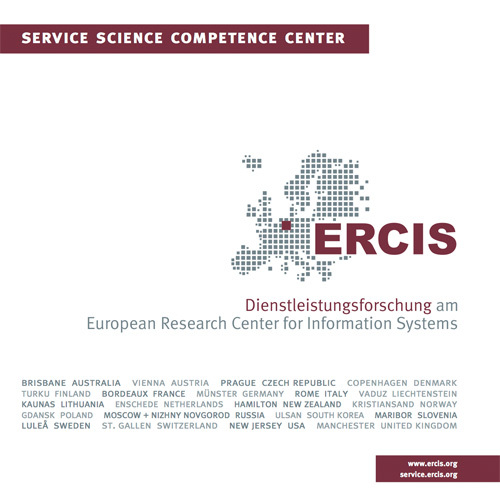 CAISE 2018 | ERCIS Competence Center "Service Science"
The 30th Edition of the CAiSE conference series will be hosted in Tallinn, Estonia – home to a groundswell of IT startups and to one of the most advanced digital societies. The conference will continue its tradition as the premiere venue for innovative and rigorous research across the whole spectrum of Information Systems Engineering with a special emphasis on the theme Information Systems in The Big Data Era. This year’s theme acknowledges the disruptions brought about by the abundance of Big Data sources about government and business services, their users and customers, and their environments. This data abundance creates new opportunities to develop smart and personalized information systems, and concomitantly raises new challenges for information systems engineers, for example in the areas of scalable data cleaning, integration and processing, real-time and predictive data analytics, and cognification of information systems engineering. Prof. Becker will contribute as a member of the conference's Programm Committee.